There are two types of possession of stolen property charges: actual possession of stolen property and "constructive" possession of stolen property. The former is what is normally thought of when hearing the phrase "possession of stolen property." It means that the person actually has the stolen item physically on them or in hand. To be charged with actual possession of stolen property, it must be proven that the accused person is in physical contact with the stolen personal property in question. For example, the person has the item in their hand, in their pocket, or somewhere on their body. This does not have to be true for "construction" of stolen property. Actual possession of stolen property is considered a "wobbler" in California. This means that the charge can be either a felony or a misdemeanor, usually depending on the value of the stolen item. If the value of the stolen property is less than $400 USD, the crime is usually charged as a misdemeanor, resulting in up to one year in county jail. If the value of the property is over $400 USD, the crime is usually charged as felony, resulting in up to three years in state prison. Being convicted of actual possession of stolen property, whether as a felony or misdemeanor, can result in a permanent criminal record, which has negative effects on trying to find a employment, keeping a job, applying for professional licenses, and immigration. A prosecutor must prove four things in order to convict a person of actual possession of stolen property: the property was in fact stolen, the accused person has or received the property, the accused person knows the property was stolen, and the accused person physically has the property on them or in hand. A criminal attorney with experience in actual possession of stolen property can help the defendant reduce his/her charges, get the minimum penalties possible, or entirely drop the charges. A skilled criminal attorney can prove that the defendant did not know the property was taken unlawfully, that he/she rightfully owned the property, or that the property was put in her/her possession unknowingly. If you are charged with actual possession of stolen property, contact Attorney Search Network right away, for a referral to a criminal defense lawyer in your area. 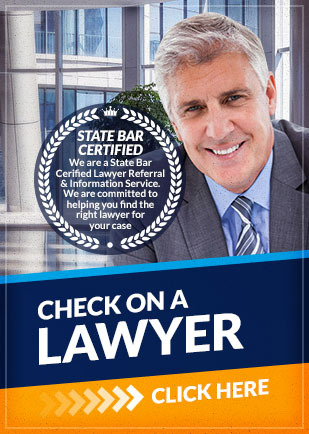 Attorney Search Network can provide you with a Local and Pre-Screened Crimial Defense Lawyer Referral.